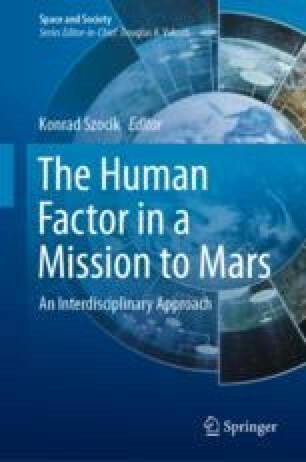 The possible scenario of a future human settlement on Mars invites reflection regarding the hypothetical conditions within which one could explore religion’s possible role. The issue is what might religion’s role be living a such a remote place and how religion might help to cope with extreme circumstances. The first question has to do with religious faith. The second has to do with what kind of religion or religious style would be more fitting in that highly unpredictable and threatening context. And third, what functions could religious beliefs and practices provide. The issue is serious in that it concerns the future of religious faith and its possible development and adaptation to very new contexts beyond the confines of the earth. Connors, M. H., & Halligan, P. W. (2015). A cognitive account of belief: a tentative roadmap. Frontiers in Psychology, 5, Article 1588. https://doi.org/10.3389/fpsyg.2014.01588. Luhrmann, T. M. (2013). When god is your therapist, New York Times, April 13, opened in: http://www.nytimes.com/2013/04/14/opinion/sunday/luhrmann-when-god-is-your-therapist.html.